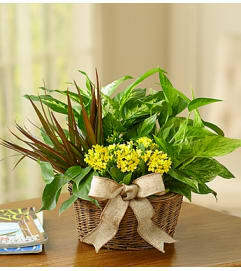 A Bit of Sunshine™ Basket by FTD® is a bright and sunny way to send your warmest wishes! 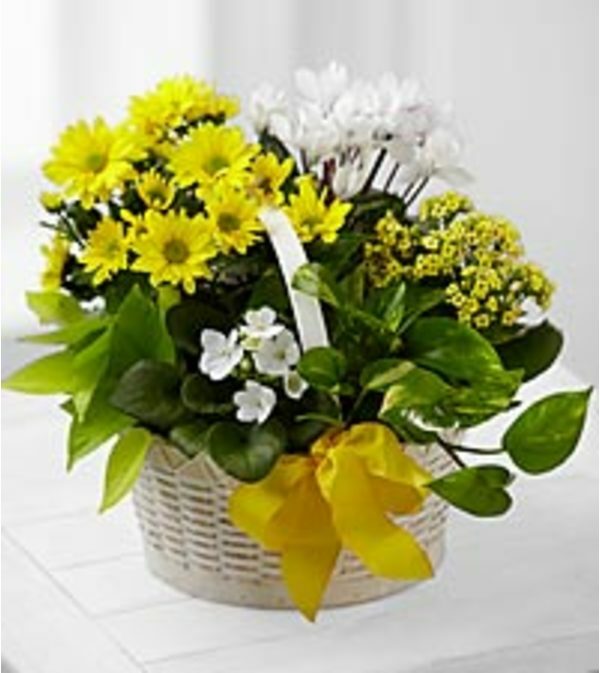 A yellow chrysanthemum plant, yellow kalanchoe plant, white cyclamen plant, white African Violet plant and two additional assorted green plants are beautifully brought together in a whitewash round woodchip basket accented with a yellow wired taffeta ribbon to send your sweetest sentiments as a get well gift, to say thank you, or to wish them a happy birthday. 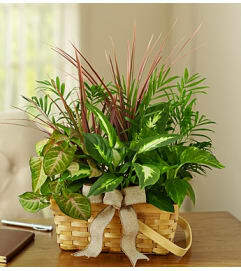 (BR>Approximately 13"H x 15"W.